After winning the test series by windies, Bangladesh looks over to carrying their perfect ODI team in this battleground, the ODI series will be started in just within 4 days. After losing the test series from Bangladesh the whole windies team like very aggressive over Bangladesh. Windies have named their squad to face Bangladesh in the three-match ODI series which will start on 9th of December. As everyone needs to know that in the previous match of Bangladesh vs Windies. 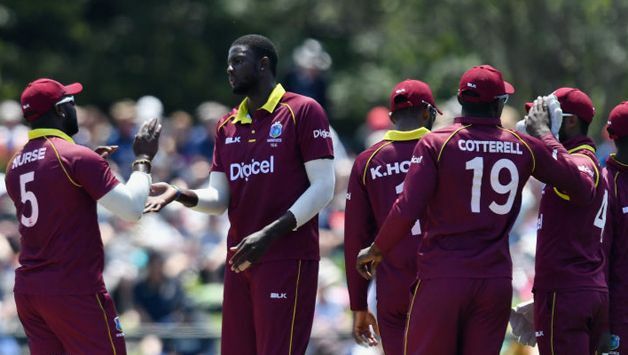 The regular skipper Jason holder got some kind of injury on his right arm shoulder that’s why he will not play in this ODI series but windies are more powerful now because they got a new kind of batsman “Rovman Powell” who has new kind of technic which will be played on the ground. The “Rovman Powell” will be the captain of this team until “Jason holder” until he would be fine with their shoulder injury. ODI match squads of windies are following: Rovman Powell(c), Marlon Samuels, Roston Chase, Devendra Bishoo, Chanderpaul Hemraj, Shimron Hetmyer, Darren Bravo, Shai Hope(wk), Carlos Brathwaite, Keemo Paul, Kieran Powell, Fabien Allen, Kemar Roach, Sunil Ambris, Oshane Thomas. ODI match Squads of Bangladesh are following: Mashrafe Mortaza (c), Abu Hider, Ariful Haque, Imrul Kayes, Liton Das, Mahmudullah, Mehidy Hasan, Mohammad Mithun, Mohammad Saifuddin, Mushfiqur Rahim (wk), Mustafizur Rahman, Nazmul Islam, Rubel Hossain, Shakib Al Hasan, Soumya Sarkar, and Tamim Iqbal. The Bangladeshi opener “Tamim Ikbal” has not played since when he gets some injury on his wrist during the Asia Cup opener against Sri Lanka in the UAE in September, but now he officially says that he plays in top 11 players in ODI series with Bangladesh as the opener of Bangladesh. In point of view of our prediction, Bangladesh will be won this match on 9th December. We have scheduled for you, match, and venue details of Bangladesh vs West Indies ODI Series 2018. Previous articleSquads name of team india, India vs Australia 1st test match. who will be win tomorrow.